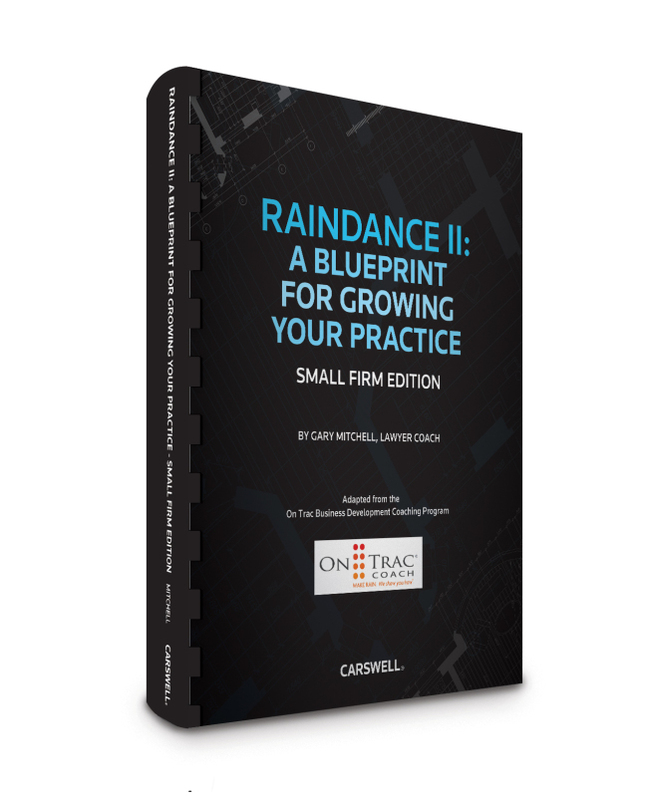 Gary’s Raindance should be adopted by law schools as a ‘must read’ as it provides a road map for building a successful law practice. Law schools teach their students how to read, examine and apply the law. 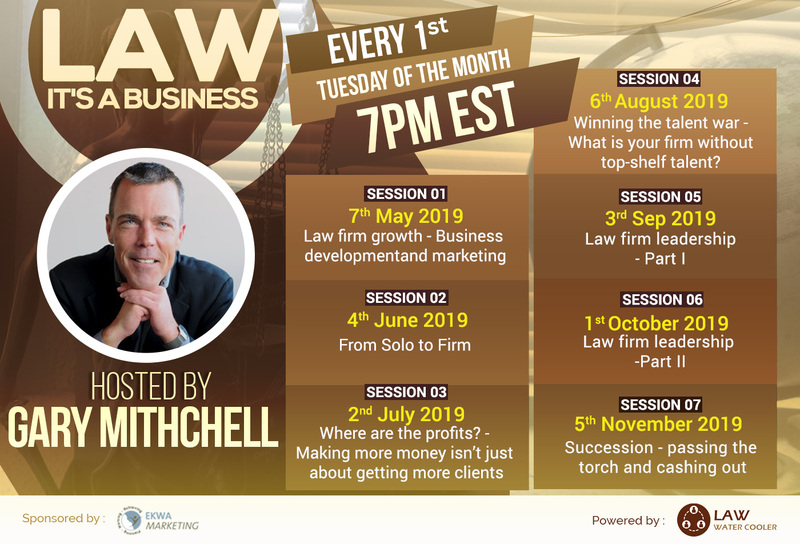 But Gary teaches lawyers how to find, qualify, serve and satisfy clients and, in so doing, build a lucrative law practice – one lawyer at a time. If you are unable to work with Gary or one of his team of coaches, then this book will provide you with the information you need to effectively focus your business development efforts. Follow the steps outlined here with the same amount of energy and focus that Gary put into creating them and there is no doubt in my mind you will achieve your goals. Get your copy of Raindance through Carswell here.